When you are born to a father with amazing musical skills enough to earn multiple Grammys and a mother who is a stunning model and a great actor, there are little chances that you would escape the entertainment industry and such was the case of Duncan Jones the son of the legendary David Bowie and his first wife Angie who despite originally pursuing a career in philosophy found his way to the business of filmmaking. He is best known for his 2009 science fiction film, Moon. Though it was his debut work, it had the quality to earn him multiple award nominations, a couple of which he won including a BAFTA for Outstanding Debut by A British Writer, Director, or Producer. Duncan Jones has only gotten better over the years easily proving that he is indeed the son of the multi-talented David Bowie. His other noteworthy films include Source Code (2011), Warcraft (2016) and Mute (2018) which was released on Netflix. Follow us as we attempt to shed more lights on his family and how it was growing up as the first son of a musical superstar. Duncan Jones’ father David Bowie and his first wife Angie (née Barnett) had him on the 30th of May 1971 in Bromley, London. Duncan whose birth name is Duncan Zowie Haywood Jones would become their only son together. His middle name Zowie was given to him, obviously to rhyme with his father’s stage name Bowie. Duncan’s parents met in 1969 through a mutual friend, record executive Dr. Calvin Mark Lee. His mom at the time was just 19 years old. They had a whirlwind romance that culminated in their marriage on March 19, 1970, at Bromley Register Office in Beckenham Lane, London. Roughly a year later was when Duncan arrived. During the early stages of their union, Duncan’s parents seemingly had the time of their lives, traveling together for international tours. Bowie even wrote a song about her titled “The Prettiest Star”. However, before Duncan’s 7th birthday, his parents had separated and later divorced officially on February 8, 1980, in Switzerland. Bowie at the time was living in the country where he was exiled due to tax evasion issues. 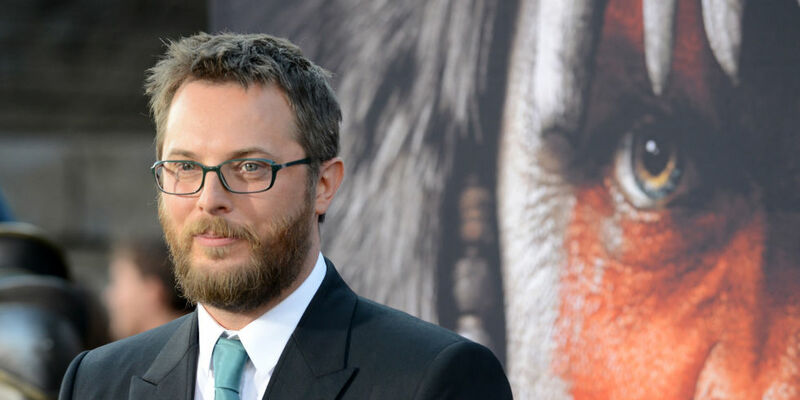 Duncan Jones, unlike his father, has never been a lover of the spotlight, one of the major reasons why he never considered a career in music and acting. His father did try to get him to love music, pushing him to learn instruments from the guitar to the piano and even the saxophone, but young Duncan never found any passion in music. He was instead interested in a vocation that wouldn’t have paparazzi following him around, an occasion he dreaded while growing up with his superstar father. He’d watch from the wings while his father sent large crowds roaring and when it was time to go home the paparazzi waiting outside was more or less a nightmare for young Duncan who for the most part of his childhood was raised by Scottish nanny, Marion Skene. In an interview with Daily Mail, his first ever about his father Bowie, Duncan narrated how his early years with his father were the best times he spent with him. They watched a lot of films together which would later influence Duncan’s interest in filmmaking and he had daddy’s full support. He mentioned on The Nerdist Podcast that he was fortunate to get the chance to say his last goodbyes to his dad. While Duncan obviously got along very well with his father, the same cannot be said of his relationship with his mother from whom he is estranged. Their relationship began to suffer around the 2010s. Angie on her appearance on Celebrity Big Brother said that her relationship with her son was beyond salvaging. As of 2018, they remain estranged. Duncan during his interview for Marc Maron’s WTF podcast said his mother was a “corrosive person”. After Angie was divorced from Bowie, she entered into a long-term relationship with punk musician Drew Blood and had a daughter with him. Duncan Jones is married to photographer Rodene Ronquillo. They were married on 6 November 2012, about 5 months after Duncan made their engagement public. Unfortunately for the couple, Ronquillo was diagnosed with breast cancer on the same day they got married. By 2013, she was in remission and has since remained cancer free. They share at least two kids together including a son named Stenton David Jones who was born on the 10th of July 2016 and a daughter Zowie Tala Mabsie Jones, born on 18 April 2018. Height – How Tall Is He? Duncan Jones stands at 5 feet 10 inches which is exactly the same height as his late father David Bowie. Like his father, Duncan has dark brown hair color. Also, he has blue eyes.